This article explains the importance of the ability to share the process of students’ learning through online platforms. It shows how a PYP school developed an online portfolio system which provides a continuous record of students’ learning and enables to track the five essential elements, and share these with the wider community. One of St Mark school’s inquiries was to develop a whole school philosophy around portfolios that demonstrated the process of learning to an increasingly wider audience. St Mark’s have now used digital portfolios since 2013 and this story explains their journey. Following our authorization, both the school and preschool undertook research to discover what reporting practices were and were not working for members of our community: families, students and teachers. We knew that there was a need to involve parents in their child’s learning, including our international and multilingual families. In light of our own observations around action, we could also see that there was no platform for students to share action from home to school and vice versa. The school had already begun to investigate the use of Google sites to store and share students’ inquiry; however, this did not easily transfer to our preschool setting because students needed to be writers to login. We knew that paper learning stories was a way of reporting but found it was just two dimensional: parent – teacher, teacher – parent, and then only if our busy parents were able to engage with us. We needed something that was regular, instant, and reciprocal. We recognized the value that an online platform was going to enable us to make learning stories three dimensional: stories could be written and edited; photos and video uploaded; and then shared with many. In our search for a suitable solution, we found that some or all of our requirements were met by several online platforms. We discovered that some platforms had functionality which took our thinking to the next level. We discovered that there were some features we had not thought of that would be useful in our learning environment. We could use the platforms to increase our parents’ understanding of the two curriculums we use: Te Whariki and the PYP, and one of the platforms also had the capability to deepen our teachers understanding of assessment by being able to analyze strands of the programme. We would be able to track students’ use of the five essential elements and teachers would be able to articulate more clearly the conceptual areas within the learning story. Going further and deeper into the inquiry, we considered the value of tracking the elements to inform future planning and learning experiences, which previously had not been possible with our current assessment practices. Undertaking additional professional learning in PYP early years assessment practices, the Dean of Preschool was able to lead staff to see the connections between teaching, learning, and assessment; enabling teachers to make authentic and discerning decisions about students’ next learning steps. The ability to track the elements and the process of inquiry over the product led us to revise and review the school policies and procedures for assessment and portfolios. We had made such a huge shift from recording students’ product on paper to each child having an online presence of their learning journey. The decision to go online created another need for a rigorous discussion with our community regarding privacy, and security was paramount. Staff meetings were put in place to sit down and discuss our current systems. Out of these discussions came harder pedagogical questions from teachers about the rigour of the curriculum; learning became more transparent and teachers became more accountable. St Mark’s has developed an online portfolio system that provides a continuous record of students’ learning, which meets the developmental needs of the students both within preschool and moving through to the main school. The implementation of Storypark as a precursor to Google sites has been instrumental in changing the assessment practices across the early years. Our parents can now instantly involved in their child’s learning on a daily basis and understand what it means to be part of an IB World School. Our teachers can record and report learning as it happens and use the evidence to plan further learning. Most importantly, our journey to date means that students in year 3 can now look back to when they were two and reflect about how they got here. 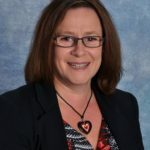 Heather Taylor is the Assistant Principal and PYP Coordinator at St Mark’s Church School in Wellington, New Zealand. She is also a workshop leader and school visitor for the IB Asia-Pacific region. Heather has a passion to develop stronger teaching and learning programmes through teacher and whole school inquiry. She has worked in primary education for 21 years both in New Zealand and in England. 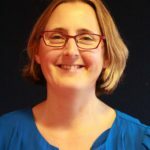 Zoe Roles is the Dean of St Mark’s Preschool in Wellington, New Zealand. Zoe’s dedication and passion towards the PYP has enabled her to lead the St Mark’s Church preschool teachers to have a deeper understanding of teaching and learning in the early childhood setting. She has worked in preschool education for 20 years both in New Zealand and in England. I work at the International School of Phnom Penh (ISPP) and we are using Storypark in our Early Childhood and Kindergarten classrooms and we love it. We also went through the pain of using Blogger (from Google) to record and show student learning but it was incredibly time consuming for the teachers. After lots of discussions in April 2016, we decided we’d give Storypark a go. We love it and my, personal, favourite part is that parents can post their own stories and comments…though we’re still working on getting more of them doing this! Thank you for this awesome post.Once again thank you for giving these great ideas for learning through online platforms.